RLC depends on volunteers of all ages to help bring history alive to our visitors! House docents guide visitors through the adobe house, share stories about the people who lived there, and explain the historic objects they used in their day-to-day lives. Docent training covers California and Rancho history through the 1940s as well as adobe architecture, decorative arts, textiles, and interpretation techniques. School docents transport fourth graders back to the 1800s with first-person accounts from the people who lived and worked at the Rancho during that era. Garden docents share their joy of plants with visitors. The serene 4.7 acres of landscaped grounds include trees from the mid-19th century, historic roses, and exotic vegetation. Collections and Exhibits Volunteers assist with caring for the historic adobe house and its exhibit rooms; maintaining and managing museum collections; installing exhibits in the historic adobe and Visitor Center; setting up seasonal exhibit room changes; and conducting research relevant to acquisitions, and conducting research relevant to acquisitions, accessions, and furnishing plans. 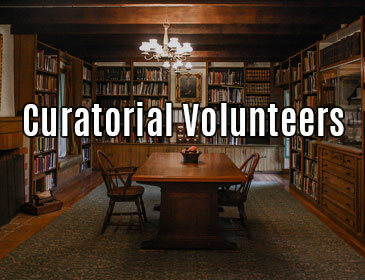 Historical Research Volunteers assist with staff-directed research on subjects related to the Rancho’s history, biographies, architecture, and gardens to enhance site interpretation. Reference Library & Archives Volunteers maintain and care for the photo, map, and archival collections and assist with the cataloging and inventorying of books in the Rancho’s Reference Library, a branch of the Long Beach Public Library. Textiles Volunteers maintain the inventory for our textile collection; create condition reports; and assist with cleaning and ensuring proper storage of textile collection pieces. 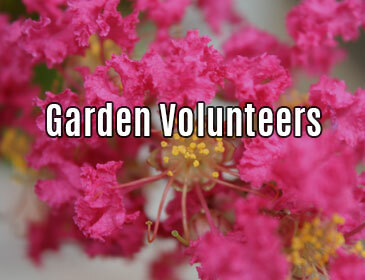 Gardening Volunteers assist with pruning, weeding, composting, general grooming, and small garden-related construction projects. Volunteers also help plant bulbs, annual color, small perennials, and shrubs. Garden Crafts Volunteers produce garden-themed items for the Museum Shop and also help with holiday decorating. Garden Docents share their joy of plants with visitors. The serene 4.7 acres of landscaped grounds include trees from the mid-19th century, historic roses, and exotic vegetation. Visitor Center Volunteers welcome visitors, provide an orientation to the site, answer phones, and assist with Museum Shop sales. Volunteer Costumers with sewing know-how can help reproduce period clothing for our living history and school tour docents, as well as helping alter, maintain, and inventory reproduction clothing. Special Event Volunteers assist with our many special events and programs programs. Teen Volunteers help out with family programs like Creation Station, summer camps, and Mud Mania. 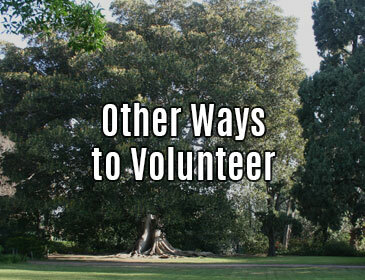 Outreach Volunteers represent the Rancho at community fairs, parades, and events. If you are currently employed, where do you work? If you are currently retired, where are you retired from? What was your position before you retired? If you are currently a student, where do you go to school? We see that "Foreign Language" was checked above. What language are you referring to? We see that you selected "Other". What other hobby, talent(s), or interest(s) not listed above would like to mention?